Home » Current Events » Who Else was Murdered with Ezra Schwartz? Who Else was Murdered with Ezra Schwartz? 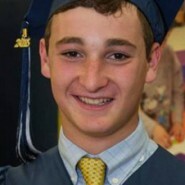 The murder last week of 18-year-old American yeshiva student, Ezra Schwartz from Massachusetts, hit us close to home. My husband runs a program for 18-year-old Modern Orthodox American girls, many of whom knew Ezra or were his classmates at Maimonides in Boston. 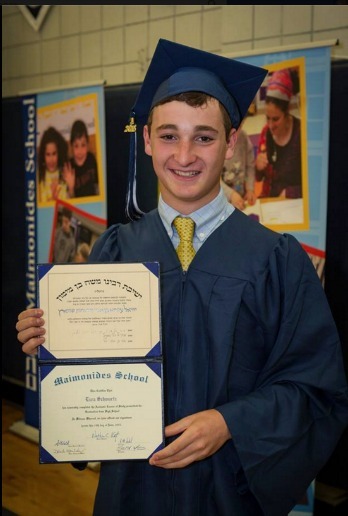 Ezra was a student at Yeshivat Ashreinu in Beit Shemesh, and was planning on attending Rutgers University next year. On the day he was killed, he had been distributing food to lone IDF soldiers and visiting the memorial for the murdered teenagers, Gilad, Eyal, and Naftali. This video of Ezra’s friends and classmates parting with Ezra at Ben Gurion Airport transported me back to the horrific night 20 years ago when I also parted with friends in flag-covered coffins. In February 1996, two weeks before our wedding, our friends, Sara Duker and Matt Eisenfeld HY”D, were murdered in a bus bombing. Sara and Matt were incredible people– idealistic, driven, brilliant, sincere. If they had survived, I am sure they would have made a huge contribution to the Jewish people and the world. Over the years, Sara and Matt’s names have been worn away, and have nearly disappeared. “Today we honor my uncle, Yitzchak ben Eliezer Zilberman. He fell in the first Latrun attempt in the War of Independence. “Just as we learn that saving a person’s life is equal to saving a whole world, losing one life is like losing a whole world: children, grandchildren, cousins, uncles & aunts…. When people die so young, like Ezra and Sara and Matt HY”D, we tend to mourn the immediate loss. Ezra will never see his family again or go to college. Sara and Matt would never stand together underneath a chuppah as they had dreamed. 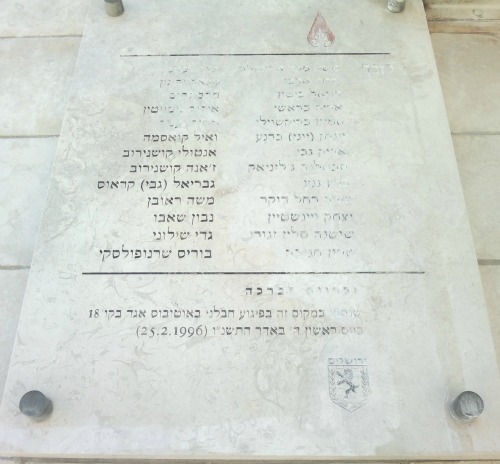 Wiped out, like the names of the beautiful Jews on that memorial plaque. 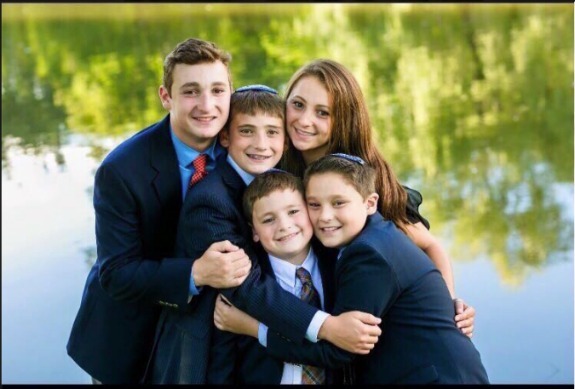 May Hashem provide comfort to the mourning parents and siblings of Ezra, Sara, and Matt and all victims of terror, and may Hashem bless the Jewish people and the whole world with peace and security and life. Maybe your noticing the worn out plaque was a good thing: you could petition the iriyah to have it re-engraved. None probably ever notices and Im sure they’d be happy to do it, At this time, it would be a beautiful symbol of keeping their names alive….